The fact that ‘puppycide’ is even a word, is a tragedy within itself. Buffalo, NY — A high profile case of Buffalo police killing a man’s dog while looking for non-existent drugs, has led to a Freedom of Information request revealing some sadistic figures. On June 3, 2013 Buffalo police raided a man’s home to look for crack cocaine. He was not there, nor was the crack. The home belonged to Iraqi war veteran, Adam Arroyo and his 2-year-old pit bull Cindy. Upon breaking down the door to Arroyo’s home, officers encountered Cindy, who was barely 50 pounds, and shot and killed her. They were at the wrong apartment. Sadly, “Police Kill Dog” is not an uncommon segment of headlines across the nation. It happens so often that it has its own category on the The Free Thought Project’s website as well as many other media outlets. This disturbing trend led to WGRZ-TV in Buffalo, filing a Freedom of Information Act request for use of force incidents within the Buffalo police department only. What they found was shocking. 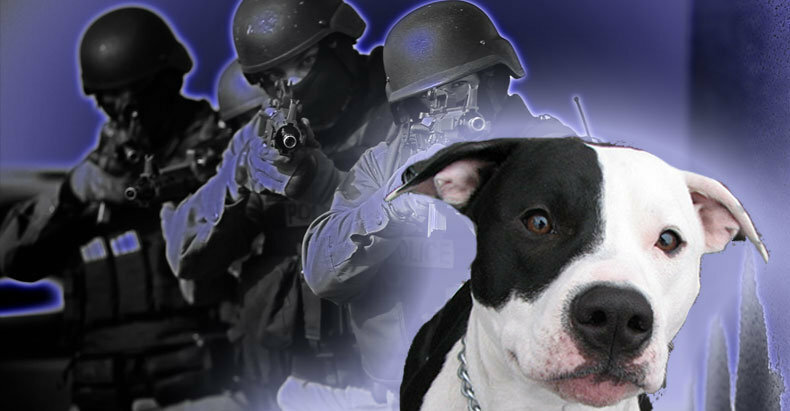 According to use of force reports requested by WGRZ-TV under the Freedom of Information Law, Buffalo Police shot 92 dogs from Jan. 1, 2011 through Sept. 2014. Seventy-three of those dogs died. Nineteen survived. To provide a comparison, Buffalo’s numbers more than triple the amount of dog shooting incidents involving police in Cincinnati, a municipality of similar size. Perhaps an even more disturbing reality is that nearly 30 percent of these dog shootings in Buffalo were carried out by one man. The unidentified officer has shot 26 dogs, killing 25 of them, in just the last three years. The New York City Police Department produces an annual discharge report, publishing its most recent version in 2012. According to those reports, the NYPD shot 72 dogs in 2011 and 2012, but fewer than 30 percent of those cases (21) resulted in fatalities. That means that in the years 2011-2012 alone, this cop has killed as many dogs as the entire NYPD! Many of these dogs are shot during the execution of no-knock search warrants, many of which are served in an attempt to stop people from putting something in their own body which makes them happy. “It’s a small percentage of the number of total search warrants executed or actions taken by police,” Richards said, downplaying this mass killing. He then noted that the department has carried out 357 search warrant raids this year, most of which are in the relentless pursuit of the state’s immoral war on drugs. Dogs are startled when something as simple as the doorbell is pressed. Of course the smashing down of a door, coupled with the screaming and noise of a half-dozen heavily armed men will cause a dog to react in a negative way. Apparently killing a dog every other week in the department is just dandy and they see no problem with it, or reason to seek out training to deal with such a high rate of puppycide. Buffalo is hardly an isolated incident either. In Southwest Florida, the News-Press discovered 111 instances of dog shootings among multiple agencies between 2009 and 2012, representing about 37 per year. According to the Chicago Tribune, Chicago Police shot approximately 90 dogs per year between 2008 and 2013. Earlier this month we reported the story of a SWAT team responding a dispute between two neighbors and then shooting a small dog as it ran away from them. Some of these officers really do seem to get a thrill out of shooting animals. Last month we broke the story of the sickening video uploaded to facebook of a Cleburne Texas Police officer calling a small dog towards him and then shooting it. Since the horrific incident in Cleburne they have actually taken proactive measures to try and prevent further dog killings. The city of Cleburne has enlisted the services of Jim Osorio, the author of “Surviving the Canine Encounter” and an instructor for Canine Encounters Law Enforcement Training, who will teach officers in Cleburne non-lethal methods for controlling dogs in the line of duty. Something has to be done, and at least Celburne is taking action. However, the real action that would need to be taken would be to drastically reduce the instance of no-knock search warrants. According to an ACLU report 62 percent of SWAT raids are searches for drugs. If we want to end puppycide, we have to end the drug war, the two are not mutually exclusive.